The Paragon Mindset - Due To Be Released! The Paragon Mindset is Robert Spence’s second book, after his success with Relationship Selling. The Paragon Mindset offers the reader the chance to delve deep into sales techniques, and offers plenty of incredible sales tips and real life stories. The idea behind The Paragon Mindset is give sales professionals, business owners and entrepreneurs the chance to improve their sales and to ensure the highest chance of success in their sales. 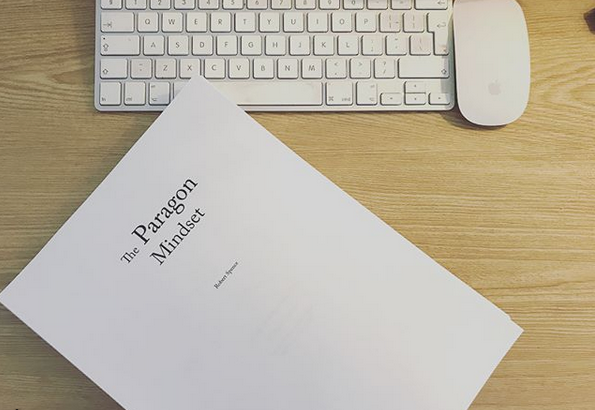 The book starts with The Paragon Mindset; a whole section dedicated to tips and advice on how to switch your mindset to one of success, and one of potential. Sales does stem from a determined mindset; those with the right frame of mind tends to do very well in sales. Therefore, The Paragon Mindset does focus on this at the start of the book as this will be the foundation to any great sales professional or business owner. The second section of The Paragon Mindset switches to sales techniques, and will give the reader so much content to help them to improve their sales careers and to generate more sales for their businesses. The book contains chapters never before published with all original content from Robert Spence. This book is going to be a must read for any sales professional looking to increase their sales. It will be vital for any business owner who wants to see an uplift in their sales. Overall, The Paragon Mindset is going to be an absolute motivational boost for anyone looking to better themselves and to develop themselves further. The first draft is now completed. Now the hard work starts. Be sure to keep an eye out for details about it’s launch date!